Delia is renowned for her tried-and-tested, foolproof recipes. The Complete Cookery Course is the book that has taken pride of place in kitchens for over 30 years. It's a cookbook that you will return to again and again, including recipes for all-time classics like Taramasalata, Boeuf Bourguignonne, Gratin Dauphinois and Rich Bread and Butter Pudding. As clear and comprehensive as ever, Delia's recipes are suitable for beginners as well as more experienced cooks, providing you with all you need for a lifetime of cooking and eating well. 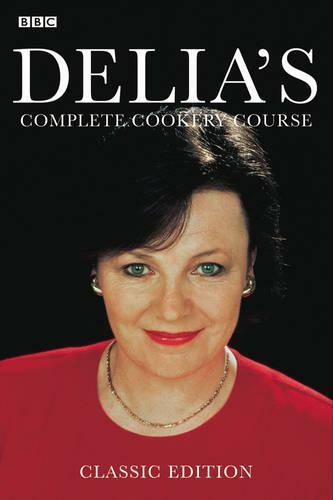 To celebrate the 30th anniversary of the first publication of the omnibus edition and sales of over 6 million copies across all editions, Delia's Complete Cookery Course has been re-issued with a fresh, new jacket. Brilliant book, I've used it for all kinds of things I hadn't even thought about previously. Love the classic feel to the receipts. Definitely a cook book staple now.